Grapes were sourced from the the Hood River Valley (Phelps Creek Vineyard) and also included grapes from our first harvest of Evans Vineyard. We felt that sourcing our grapes from a slightly warmer climate, such as Hood River, we could produce more powerful Pinot Noir that would age well. Hood River provides the lovely black cherry flavours that we prefer. 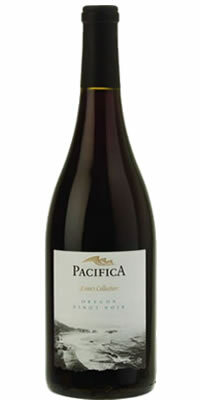 A great example of what Oregon Pinot Noir can be like from the Hood River valley. Soft but firm this is no doubt an Oregon Pinot Noir with a long life. Unlike our first vintage in 2010 the 2012 season was warm and long. Grapes were harvested about mid- October in perfectly ripe condition. A great season and one that shows in the wine. Aged for about one year on French oak and bottle aged a further 18 months prior to release. Bottled with Diam cork closures and available in 6 x 750ml cases.